Squeeze 8 to 10 lemons in a jar with 1 cup of sugar. Add ice to taste and enjoy. Very refreshing. You can do the same with Klimes and Limes to make a Limeade, just consider that the Klime is more acidic and has a stronger flavor than the regular Limes. Grind the fish meat (1 lb.) Preferentially ask Sierra fillet, squeeze 6 Key Limes to marinate the fish filet in a glass container or plastic covered in refrigerator at least for about 6-7 hours. After 6 or 7 hrs. squeeze (place the fish in a cloth and squeeze or just push it in the same container to eliminate all the excess juice). Chop ½ onion, 2 cucumbers and diced 2 carrots and add the juice of 2 lemons, 3 tablespoons olive oil, 1 pinch of oregano and 1 teaspoon of salt (better if sea salt). Cut 5 tomatoes in half, remove seeds and chop into cubes. You can add olives or capers. 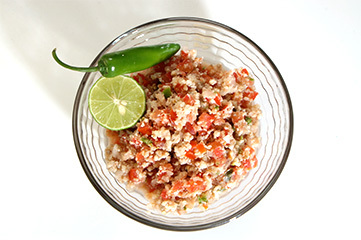 Mix all the ingredients and add ¼ cup of chopped cilantro. Serve and enjoy with toast or salted cookies, adding avocado and hot sauce or ketchup. Amaretto 50 cc, 15 cc lemon juice, 1 / 2 teaspoon sugar. 6 parts of chilled white wine, 6 parts pineapple juice, 1 part lemon juice, 1 teaspoon of sugar, soda, 1 lemon peel spiral. 1 / 2 white rum, 1 / 4 pineapple juice, 1 lemon juice jet, 1 jet melon liqueur, champagne and sugar. 2 measures of Vodka, 1 part lemon juice casting, 1 part Gancia, 1 part Carpano. 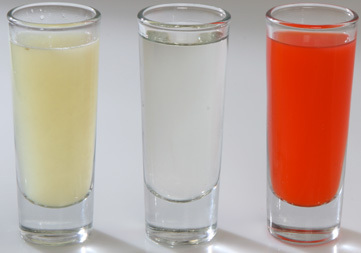 Take a shot of Tequila, a shot of Sangrita and a shot of Klime or Lime. At the end you can finish eating a pinch of salt.